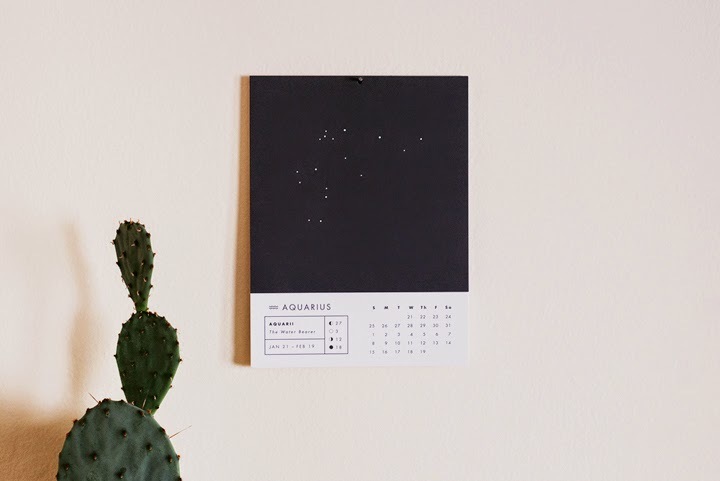 We're crushing hard on all things astrology, so when we came across this wall calendar by Chelsey Dyer, our eyes lit up. By now, everyone has a smart phone and can access their electronic calendar anywhere. Mix it up at home by having your wall calendar double as a piece of art. This calendar includes all twelve astrological months, corresponding constellations and moon phases. The simple design, beautiful artwork, and adorable features make this calendar a must have on our list. You'll definitely find this on our wall in the coming year. Do you still use wall calendars? If so, what will you be rocking in 2015?